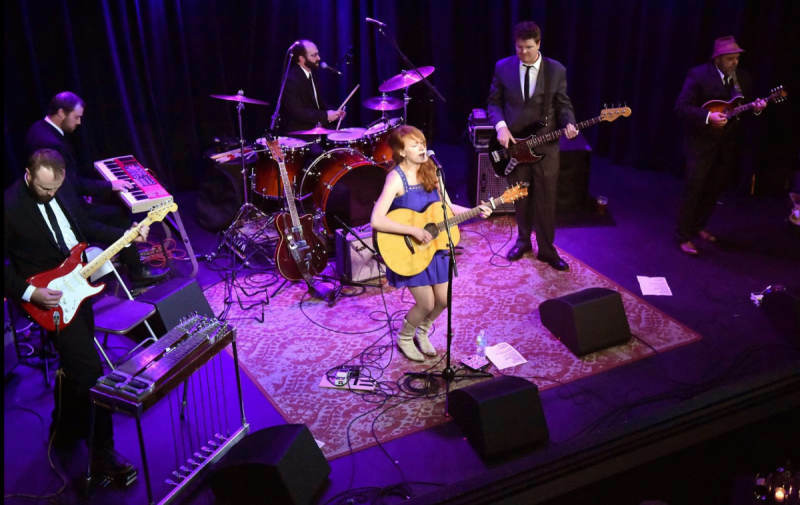 Performing along with Platt, The Honeycutters are Matt Smith on pedal steel and Stratocaster, Rick Cooper on bass, Josh Milligan on drums and harmony vocals, and Evan Martin on keys and Telecaster. 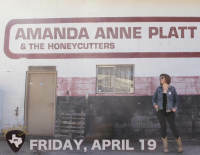 Amanda Anne Platt & The Honeycutters is the group’s third release on Organic Records, and fifth album. Assembling the same the same team as 2016’s On The Ropes Balsam Range’s Tim Surrett steps in for the second time to co-produce this album along with Amanda. Its thirteen tracks were recorded, mixed, and mastered by Scott Barnett at Crossroads Studios in Arden, NC. 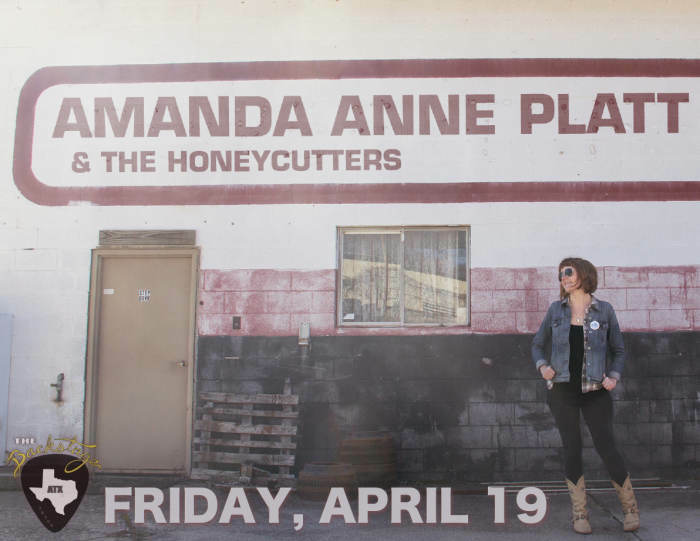 There is an empathetic and charming wit engrained in Amanda’s songwriting. She has a knack for accessing a deep well of emotion and applying it to her story-telling, whether she is writing from her own experiences or immersing herself into the melody of emotions in another person’s life. There is an easygoing warmth to the album, enhanced by the its refined arrangement and production; from the upbeat “Diamond in the Rough” to the poetic and observational “Eden” to the very personal, yet universal, “Brand New Start” to “Late Summer’s Child” (an ode to her favorite season) and “Rare Thing” (a song commissioned from Platt from a fan as a love song to his wife that ended up being included on the album. “Your mama said that it would never last… but these years go by so fast… and you’re the song I’m humming to myself as I’m counting the miles… you’re such a rare thing.”) One can feel it even in songs with a more solemn concept behind them like, like “Long Ride,” which speaks of living in the moment in the face of mortality. The successes of On The Ropes  and Me Oh My  have propelled Anna Anne Platt and The Honeycutters onto the national scene and they have been featured on NPR’s World Cafe’s Sense of Place, NPR’s Mountain Stage, Nashville’s Music City Roots, and Folk Alley and they have performed at AmericanaFest, MerleFest, and IBMA. On The Ropes debuted at #39 on iTunes Top 40 Country Chart on release day and landed on a plethora of year end lists including placing #35 on the Top 100 Albums played on Americana Radio in 2016 and landing at #1 on Western North Carolina’s WNCW Radio’s Year End Listeners Poll of Top Albums of 2016! The Honeycutters Jukebox [Official Video] from Mark Skoultchi on Vimeo.